This entry was posted in Denmark Denmark Immigration and tagged Danish Positive List Danish work permit Denmark Green Card Scheme Denmark Immigration Denmark Work Permit Schemes Migrate to Denmark Pay Limit scheme The Corporate scheme work in Denmark on September 13, 2014 by Blog Author. Are you willing to work in Denmark? Then, you must obtain Work permit visa to Denmark. Denmark is one of the European nations that entice overseas skilled employees from across the globe. Denmark immigration policy is alike to UK skilled immigration policy that uses points based system. 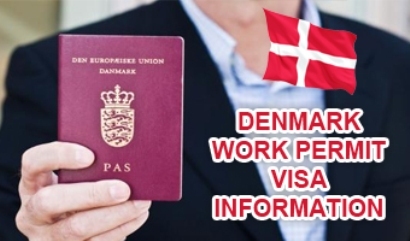 Overseas nationals must obtain Denmark work permit prior to their entry to Denmark. Work permit for Denmark enables overseas nationals to reside and work in Denmark. A majority of overseas nationals are liberated to reside and work in Denmark on Danish work permit. However, they must satisfy the necessary requirements in order to acquire the Danish work permit based on their nationality and qualifications. The Danish government has introduced some special Denmark work permit schemes to bring extremely skilled professionals to the country. Under the following schemes individuals can obtain Danish work permit and residence permit. Denmark Green Card is a point’s based system where an individual must score minimum pass points in order to migrate to Denmark for the purpose of work. The points are awarded based on the skills such as age, language skills, education, work experience and adaptability. Under this card applicants can gain three years residence permit. Applicants do not require a prior job offer for Denmark immigration under this card. Denmark has several professions with lack of skill shortages. If overseas nationals have required skills for any of the occupations they can get a residence and work permit under this scheme. This scheme is for applicants who hold a valid employment offer from a Danish employer who compensates over DKK 375,000. Applicants can apply for the Danish work permit after meeting the necessary requirements. Danish work permit processing time can’t be expected exactly. It is subjected to change and frequently it depends on applicants’ profile. For better Danish immigration service it is suggested to approach best immigration consultants. For more information take our Free Assessment, and also follow us @ Facebook, LinkedIn, Twitter.